Laptops and netbooks have built-in Webcams. It is logical to assume that if the device is able to shoot and stream a video, it will be able to make and photograph. On many models of external Webcams for this purpose there is a special button. On a laptop the button is not there. So how, then, to enable it to take the photo? Use this to obtain still image is "native" for camera notebook program – it should be supplied with computerom. For example, for HP notebooks such program is the HP Camera (menu start - All programs - HP – HP Camera). Install in the settings menu of the HP Camera (the button with a picture of a cog) photo size settings self-timer. For a more subtle image quality settings – brightness, contrast, saturation, etc - use the button "driver Properties". Select the camera icon in the selection menu of shooting modes on the right (icon of the video camera includes a movie mode). To take a photo without the self-timer, press the round button in the lower right corner of the program window. The resulting image in Windows 7 will be saved in the pictures library. Use this to obtain still image standard tools of the Windows operating system (example uses Windows XP). Make the transition: menu "start" - "control Panel" – "Scanners and cameras". Select from the list of available devices built-in camera. The system can recognize it as a USB device, do not worry. In the opened window click on "Remove" located under the camera viewfinder. The resulting photograph will appear in the window to the right of the viewfinder. Select it and click on the "Next"button. Enter in the window the snapshot name and choose where to save it–. Similarly, you can take a picture through the interface of the folder "My pictures" and the menu is standard Paint. 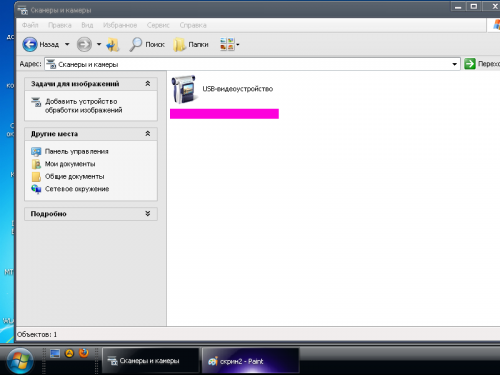 Open the folder "My pictures" or Paint (start - All programs - Accessories - Paint). Select the menu "Get from camera or scanner". Then act in accordance with the instructions described above. A photo taken through instrumentary Paint, you can immediately edit. Use this to obtain still images of the program for the webcam third-party developers, which in large quantities are spread on the Internet on paid and free basis. 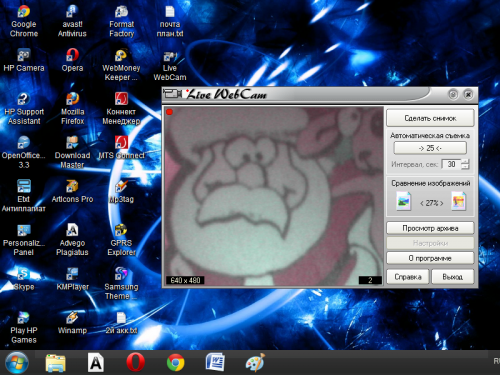 For example, the free program Live WebCam http://www.ddd-soft.net.ru/programs/livewebcam. Start Live WebCam and take a picture by pressing the button "snapshot", or set options for automatic shooting. A detailed guide to setting up and working with the program, visit the program website (link provided above). If after buying the laptop you re-installed the OS and built-in webcam not detected by the operating system, install the camera drivers. If you got a disk with drivers, download them from the manufacturer's website of your laptop. The main purpose of web camera is to transmit digital video over a network. But it can also be produced, and photos. However, this mode has not previously been in great demand. The reason was the low quality of the images. But recently, after the successful introduction of new technologies, has improved the clarity of the video frame. And the use of a web-camera was very important for getting good digital photos. Taking pictures with web camera very simple built-in operating system. Connect to computer web camera. Install drivers for its proper operation. Normally the drivers are supplied from the developer together with the web-camera. Run "My computer" in your system. To do this, double click on its shortcut on the desktop or call mode via the "start" button, selecting "start" - "My computer". The system will present in a separate window available for the device. At the bottom in the category of "Scanners and cameras" will be your web-camera. Run it to work. A new window will appear, where it will be located area of the video filming with your camera. In the left window is the control panel set the camera. With it you can do snapshots at the moment. Take a picture of the image you see in the web camera. On the control panel, click active the line "Make new snapshot". The system will record a frame and put his picture in the same window below the video area. Save the image using the shortcut menu. Right-click on the image and select "Save". Photo from a web camera will be saved in your drawing. The laptop is more convenient than a regular computer, due to the rich set. For example, you can make photo with the built-in web camera and make with it a video call, start a conference, all in any place of the globe. Make sure that the laptop is installed and configured properly. In particular, you need to download the appropriate driver and install a special program, otherwise you will not be able to take pictures with the webcam of the laptop. Usually the default application for device control is automatically installed with the driver package, but you can download an additional program from a number of commercial or free, with which to take pictures with web camera becomes much easier. Among them OrbiCam, Crystal Eye Life Frame and others. Not to be mistaken and to download is compatible with your camera app, perform a search for the model name of the laptop. 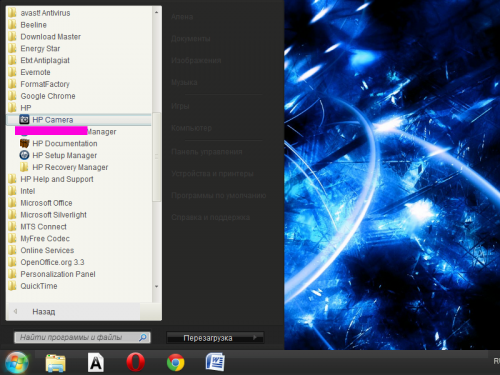 Open the installed program, if necessary, to make photo with webcam. This can be done in several ways, for example, by clicking an appropriate icon on the taskbar or by opening the app via the menu "start". Also you can press simultaneously on the keyboard function key Fn and the button with the camera icon. To define a more convenient combination, use the app settings or keyboard in the "control Panel" of your operating system. Select the appropriate image settings via the program menu before you take a picture with web camera of the laptop. Typically, users adjust the brightness, contrast and color images. In addition, you can add to the image one of the portrait frames, as well as a fun collage. Select a folder on your hard disk in which you save made camera laptop photos, settings current date and time. Click on the button with the camera icon which is often located at the center of the bottom of the app to instantly take a photo. The photos will be available for preview and editing in the program itself and in the folder where they were saved. In addition to photography web camera laptop allows you to shoot movies when pressing the corresponding button in the application. Here you can pre-set quality and color reproduction of the camera image, which will then be used during video calls and other operations. Usually the webcam is used for video transmission via the Internet. With this capability you can connect with your family and friends, seeing their face, even if you're separated huge distances. However, sometimes a web camera it is necessary to make photos. What would web Cam no have you had built into a laptop or being an additional device to do through her photos is possible thanks to a special program that is commonly bundled with a hardware disk. If you have a laptop "HP", use "HP Camera". Find it via the panel "start", start, and select settings for picture quality (size, contrast, brightness) that you need. Click on the image on the camera that you specified in the settings the folder will be stored your photos. To take a picture of yourself with a web camera on a laptop "Asus", you can use preinstalled utility "Asus Camera Screen Saver". For more pictures from the webcam of the laptop company Samsung, it is better to use programs that are not provided in the kit. 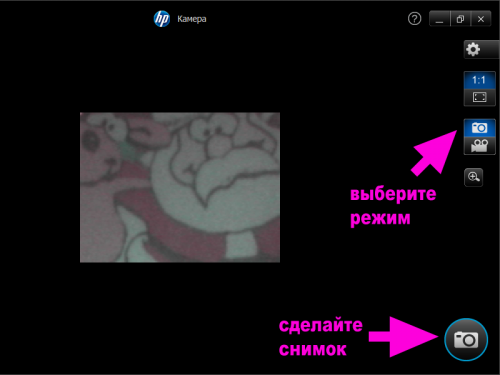 To do this, download one of утилит6 "WebcamMax", "Crystal Eye", "OrbiCam". 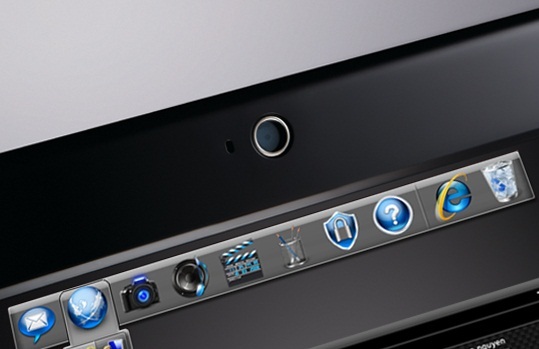 They all have understandable even for inexperienced users interface, so makes it easy to get a photo with any webcam. On almost any laptop or computer, you can also take pictures by opening the folder "Scanners and cameras" find the webcam and click "Remove". Next to the picture of the device you will be able to see the photos. Click on it and go to "Next" set of photos a name and location to save the file. If you managed to take a picture with your webcam, you can change it in any graphics editor. This can be used as a basic "Paint" and more advanced "Adobe Photoshop". If your computer's operating system is Windows 7, you can find the driver software of the camera using the automatic search. Installed correctly, the driver will allow you to easily make a photo with your webcam. Nowadays, almost all laptops have a built-in webcam. This is a very useful device, because it helps to communicate and record video. And, of course, to take pictures. You can use the tools of the operating system "Windows" or install the program. In any version of "Windows" is the application "Paint", it is available in the "Standard". With it you can capture pictures with web camera to do this, the menu "File" select "Get from scanner or camera". It is also possible to process the obtained image, however, the editor's capabilities in terms of processing the photo is very poor. To be able to edit the resulting photos and apply to additional effects need a special program. On the new laptops, purchased from renowned manufacturers, as a rule, already has a brand app. If not, the web is available to download many paid and free applications to work with web camera. One of the most popular programs in this area – "WebcamMax". You can download it on the developer site, there is a paid version and the free. The application installation will not take much time and does not require any skills. The program looks like two Windows: the left picture shows the camera all she sees, in real time. In the right window you can choose how to edit and make videos and photos. To take a picture, click on the leftmost button under the preview window, it shows the camera. After that, there under the window will display thumbnail photos. To keep it on the hard disk of the laptop, you need to click twice with the left mouse button on the image. Additional window will open and show the picture. On the right is a menu where you need to select "Export". If you click on it, Windows Explorer opens and prompts you to save photos in a folder. If desired, the place where are the photos saved, can change to any folder or flash media. Now a photo saved as a file that you can edit in any graphic editor (for example, "Adobe Photoshop"), put it on the Internet or send via e-mail. 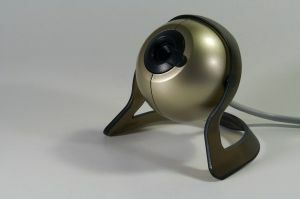 Another popular program for working with a webcam that can take pictures – "Webcam Surveyor". She is also easy to use, it intuitive interface: preview window and menu. Using the buttons under the preview window you can zoom the image using the digital zoom, adjust the image by changing the brightness, contrast, saturation, and color tone. 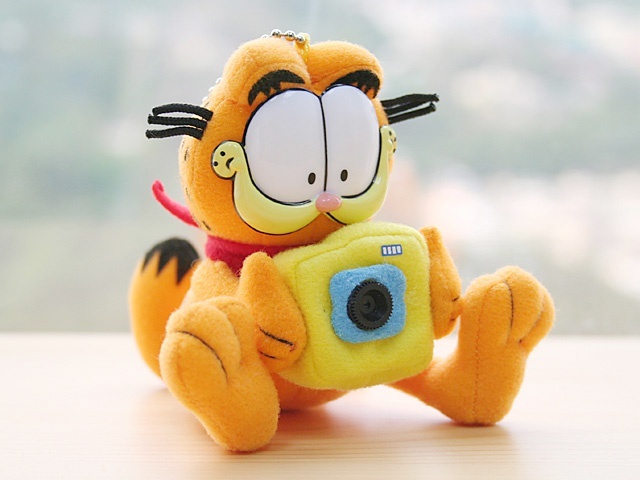 There is a button with which you can take a picture imaged at the camera. In addition, this application can do the delayed: in the window "Program Options" you can set the timer, and the photo will be made at the specified time, or will be made a series of photos after a specified period of time. Also in the photo you can add a date and time. Taken without leaving the app send an email. To create photos with a webcam you can use the application "Webcam Plus!" It is very simple and contains a minimum of options. At the top of the program window there are buttons with which you can manage apps, including a button with a picture camera, clicking on which you can do the. In addition to single photo the program can make a series of pictures, and send pictures to the Internet. You can configure automatic publishing of images to the network after a specified period of time, while for the photo to superimpose the time, date, picture or any other text. "CoffeeCup WebCam" is another popular app. It can do single shots on schedule and immediately send them to the Internet. Moreover, the program can recognize the movement in the frame and make a photo, and in the absence of motion to remain in standby mode. Here also can be applied to photos custom text made by the selected font and color. This is not a complete list of various applications created to work with web camera, including the processing of photographs. It remains to choose what is most convenient.